Urban legend says that in order for your hair to grow longer you need to get regular trims. But the truth is, the main cause of hair breakage and lack of growth is excessive split ends. So if you want to grow longer hair, the key is to prevent split ends so that you can avoid routine trims and keep your length. Recently, Carol’s Daughter introduced the Monoi Collection, a line of products that further dispels the ‘regular trim’ myth and helps women grow healthier hair from root to tip. One of the standout products in the line is the Monoi Repairing Split End Sealer. The secret is, the less trims you need, the longer your hair can grow, and faster! So, stop cutting and start growing by binding the frayed and separated ends of your hair back together, making them look freshly cut, instantly! I’ve been using the Monoi repairing lotion for a few months now and am in love. And I literally haven’t needed my ends clipped SINCE I started using this product and my hair is growing and is healthier than it’s ever been (which is the result of a combination of things, not just the monoi repairing lotion). This doesn’t mean that I’m eliminating trims altogether, but the less I need them the better. And finally, I love that it works! 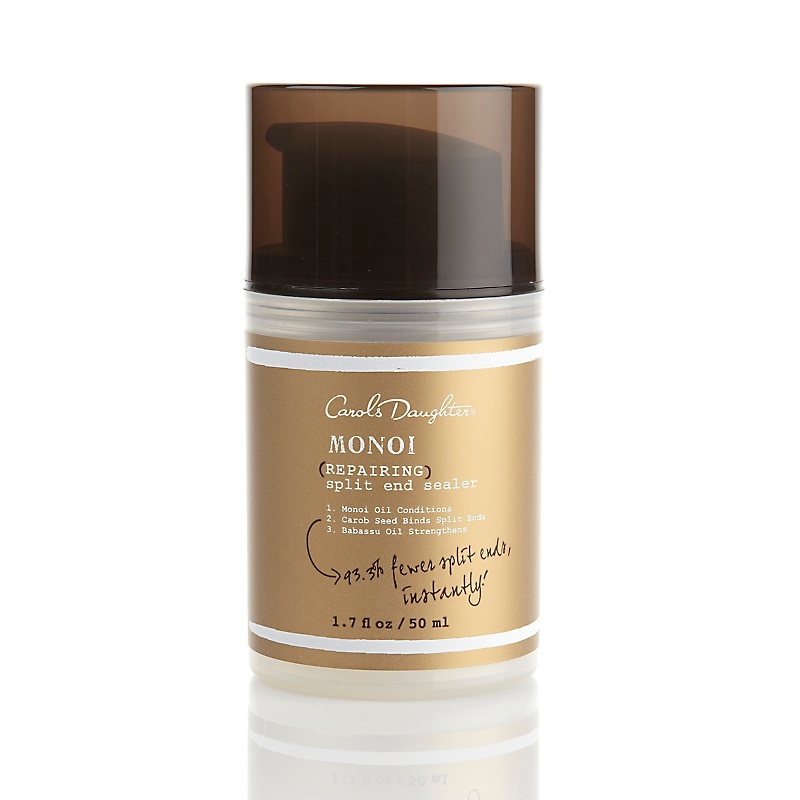 i could SO kiss @misssuccess for turning me on to carol's daughter monoi repairing split-end sealer!